We added a couple more features to LiveBinders over the weekend. 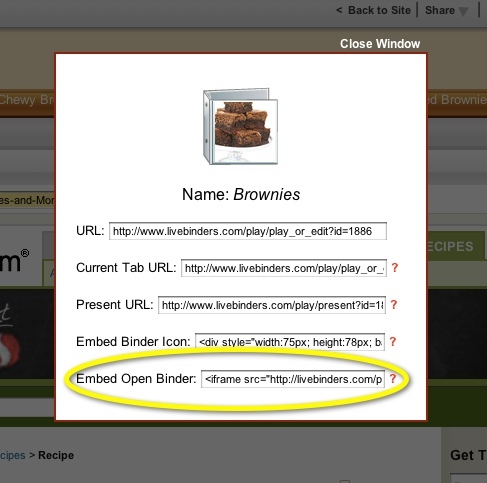 You can now embed an open binder in your blog or website (if your blog supports iframes). We also added a way to add a “LiveBinder It” button to your blog or website. The last option is the new embed code for the open binder. Just paste that into your blog or wiki where you would paste other embed codes. Thank you to everyone who requested these features. We always appreciate hearing from you! ‹ PreviousNew Player/Editor Features are Live! Next ›Nominate Your Top 10 Binders for 2012! I love LiveBinders!! I started a blog a couple of months ago and I have included a link to your site and to some of the binders I have created. I also did a workshop at my school on LiveBinders. 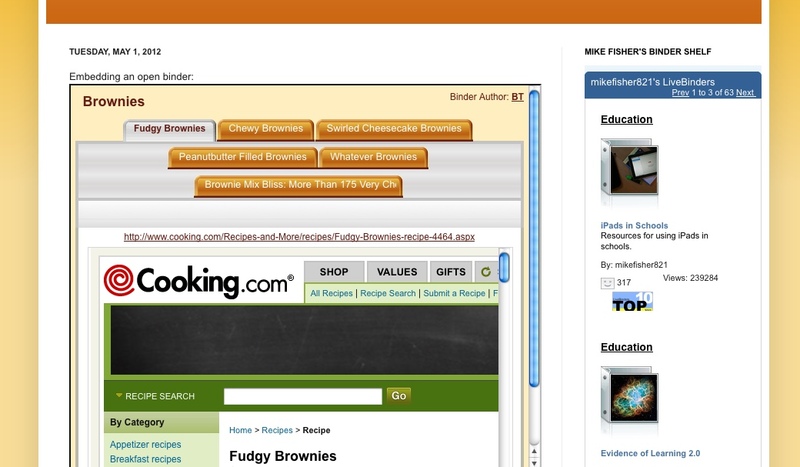 I love the way I can group online activities together in one binder for my students to access through Moodle. I simply tell them which binder to go to and which tab. It’s awesome!!! You are simply the best!!! Thank you so much for LiveBinders! Wow, thanks so much for those kind words and also for spreading the word about LiveBinders at your school. You made our day!